Accidents can be Deadly: Car accidents, truck accidents, motorcycle accidents, pedestrian accidents, dog attacks, dangerous products, construction accidents, and other accidents caused by the negligence of someone else happen every single day throughout the United States. Sometimes these accidents result in serious injuries to the innocent victim. Other times, the negligent actions result in the tragic loss of life. We love our families and want to keep them safe, but the negligent actions of another can have deadly consequences. We can help. Attorney Richard Griffin and the Griffin Law Firm has the legal experience, legal skill, and the resources needed to help you attempt to recover the money your family needs to continue to function after a wrongful death occurs. Nothing will replace your lost loved one, but getting the financial recovery that you need and deserve is a critical piece of the puzzle when putting your life back together for yourself and your family. Call us today at 877-529-7070 or 877-PAIN-LAW. 1. Survival Action: This is the action that the estate of the deceased person can bring pain and suffering before death, medical expenses before death, and for funeral expenses. Medical liens can attach to “survival actions, but not to “wrongful death actions”. 2. Wrongful Death Claim: This is the claim that allows the surviving family as designated by Georgia law to recover for the “full value of the life”. The full value of the life involves both the economic value (the projected life time income) and the non-economic value (the value of life from the eyes of the deceased accident victim). Which type of claim should you pursue? It is very important to consult with our attorneys when deciding which of these types of wrongful death claims to pursue. Sometimes it’s even best to pursue both claims. Liens for medical bills normally can attach to the Survival Action, but not to the wrongful death claim. If you have recently lost a loved one due to the actions of a negligent person or company, then you should call us to discuss your rights and to find out more about each of these types of civil claims (Survival Action and Wrongful Death Claims). Wrongful Deaths devastate the surviving family members. Most households can only make ends meet with two or more incomes. When one member of the family suddenly dies, the family often faces an immediate financial crisis. This is especially difficult when the surviving family members is also dealing with the emotional heart ache of losing their loved one due to a tragic accident. 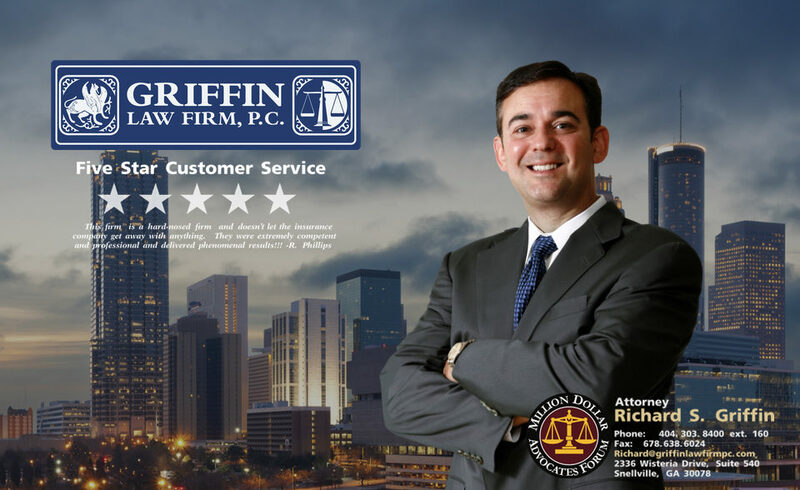 Attorney Richard Griffin and the Griffin Law Firm understands what you are going through and is here to help you deal with the difficult decisions that you must make when seeking a recover for a wrongful death claim. What is the economic value of the lost life? Our wrongful death attorneys often use economists and accountants to establish what the deceased accident victim would have earned over the course of their lift time. The expected life expectancy can be established with the deceased health history, family history, and Annuity Mortality Tables. When calculating the lost future income there is no reduction usually for taxes. However, the projected income is reduced to the present day value. What is the non-economic value of the lost life? The non-economic value of the lost life places a monetary value of the life from the prospective of the person who was tragically killed. This is normally established through the testimony of friends and family as they describe the quality of the life the deceased person enjoyed. It often includes the activities they enjoyed most, as well as, the depth of the relationship they had with others. What are factors that can impact the wrongful death claim? Liability Defenses: The value of the wrongful death claim can be reduced if the defendant has valid defenses. Defenses can include arguments that the defendant was not negligent or that the deceased party was negligent. It is critical to hire an experienced wrongful death action because defense attorneys will raise every possible defense such as lack of jurisdiction, improper service of process, assumption of the risk, comparative negligence, proximate causation, and other legal defenses. Insurance Coverage Defenses: Insurance companies will also deny wrongful death and personal injury claims based on an alleged coverage defense. If the insurance company believes the policy was not in affect for lack of premium payments, or if they believe the negligent driver was not an authorized driver, then they will often deny insurance coverage. Insurance Policy Limits: It is very important to hire our experienced wrongful death attorneys so we can help identify all of the insurance policies that cover your wrongful death claim. We will send the proper notice to all of the insurance policies that cover your claim and will verify the policy limits of each. Possible insurance coverage can include liability policies, general liability policies for a business, umbrella policies, uninsured motorist policies, under-insured motorist policies, medical pay coverage, workers’ compensation, and other types of insurance policies. Why is it critical to hire the right wrongful death lawyer? Because you only get one chance to recover for the loss of your loved one. Life is expensive and most households depend on the earnings of one or more people in the household to pay for the housing, food, clothing, education, recreation, and health of the whole family. What are the attorney fees for wrongful death actions? The Griffin Law Firm does not require a retainer for wrongful death and personal injury claims. If we accept your case, then we will handle your claim based on a contingency fee contract. This means that there is no attorney fee unless we win your case. These types of contingency fees are permitted in wrongful death claims, but they are not available for all types of legal claims. The contingency fee amount in most wrongful death claims is one third. Higher contingency fees are charged when mediation, arbitration, or litigation is required. There are also costs associated with handling your wrongful death claim for investigation expenses, gathering medical records and narrative, and other litigation expenses. These costs include the cost of obtaining medical records, narratives, depositions, and other costs needed to negotiate or litigate your wrongful death case. Costs and attorney fees are repaid from your settlement or jury verdict. What is your wrongful death claim worth? The Griffin Law Firm encourages you to use our Wrongful Death Settlement Calculator below so we can fully evaluate the likely settlement range for your wrongful death claim. Free Wrongful Death Consultation: Attorney Richard Griffin understands how painful it is to lose a loved one and is here to answer all of your questions about your wrongful death claim. For your free consultation call us at 877-529-7070 or 877-PAIN-LAW.